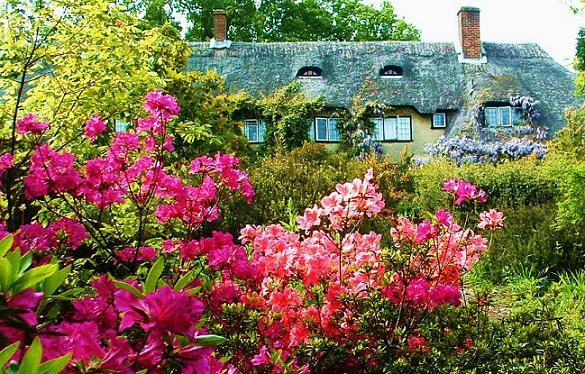 Furzey Garden near Lyndhurst, in the Spring and early summer is a really special place to visit. There are plenty of places throughout to sit and enjoy the lake, wildlife, heather garden and a host of Summer and Winter flowering shrubs and trees of botanical interest at all seasons. 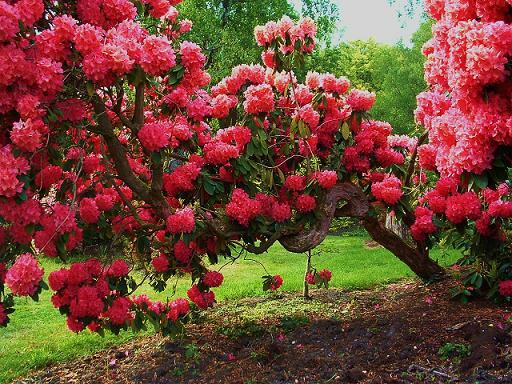 See the extensive collections of azaleas and rhododendrons, the strange Bottle Brush tree and flaming Chilean Fire trees. More to this garden than you can imagine and best visited in May although there is something to see in every season. The gardens are situated in the New Forest, one of Britain's National Parks, with lots of beautiful places to visit. It is also not too far from the coast and an ideal place for a weekend getaway. If you are looking for somewhere to stay why not try one of our recommended hotels listed on this page. 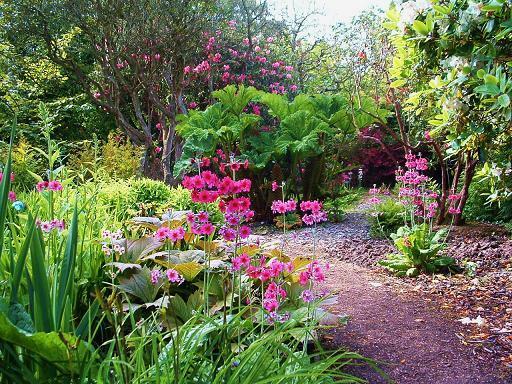 Furzey Gardens is part of a registered charity which provides, through the work of its sister charity the Minstead Training Trust, activities and training within day opportunities and accommodation based services for people who have learning disabilities. 2019 - Furzey Gardens - Open all year please see website for more details on opening times, plant sales, craft-shop mid 10 February to end of October. Disabled access.